The ongoing World Cup, as a global event, seems to provide an ideal platform for us, the Global Social Media Impact Study to compare people’s social media engagement worldwide. Here in this busy factory town in south China, there is no pub where people can watch football, there is no football field where people can play football, and I have never ever felt any passion for football during my whole year of field work. Most of the time, I had to train myself to select ‘useful’ information from a huge amount of field notes. However, this time I was somehow worried that the topic of football over here is somewhat similar to the topic of skiing for people who live in a tropical rain forest. 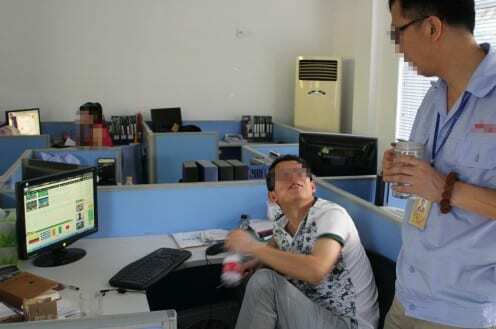 Not surprisingly, up to the day of writing (24 June) there is very limited content on social media about football or the World Cup among my informants (around two-thirds of them are Chinese rural migrants, working in local factories, one-third are factory managers, local businessman, and few people living in cities), among 100 informants’ QQ profiles (around 179 posts over the World Cup period), there was only five posts about football directly, and the majority of them were about football gambling game as one of the posts said: “I am optimistic about Italy!” XB, an 18-year old factory worker wrote so, and he told me later that the reason he posted so was because he clicked on a QQ football gambling game “by chance”, and invested 10 RMB (1 pound) betting with Italy. 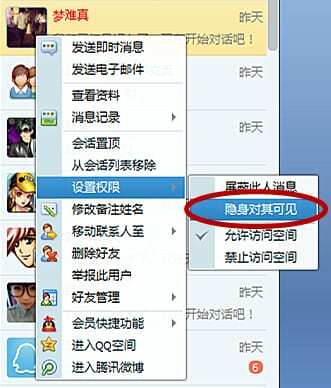 However, when I moved to WeChat (a social media applied more by Chinese urban population and middle-class) things became different. When I included my personal social media connections which mainly consist of people living and working in cities like Shanghai, Beijing, Hong Kong, and overseas places, the rate of football related posts is much higher: among 158 posts drawn from 60 people on WeChat, there were more than 30% of football and World Cup related posts. Furthermore, the posts about football varied. There were original posts about watching football in pubs or at home alone or with friends (usually with a set of photos of the beer, the TV screen, the venue, and group photos); posts commenting on the performance of certain players or teams; informative shared links about the game schedule and the line-ups; shared pictures/videos about the world cup, including a great amount of jokes, etc. 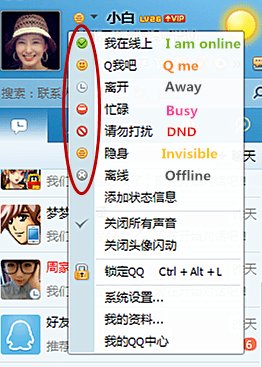 The presence (or the absence) of the World Cup on people’s social media profiles (QQ and WeChat) not only showcased different ‘lifestyles’ of the urban Chinese and rural migrants, but also manifested a great difference between the user groups of WeChat and QQ that is WeChat is more urban and QQ is more rural. Even though it is too simplistic to put things in urban-rural dichotomy, it is safe to say that the urban-rural division exists in many obvious ways in China according to my ethnography. Nevertheless, my inquiry about the ‘social media and the World Cup’ should by no means remain on social media domain since the real strength of field work lies in a comprehensive understanding of people’s daily life. The game-watching experience with my informants and follow-up interviews tell me more about the social connections behind football and the World Cup. Curiously, even though the visibility of the world cup on social media among rural migrants is extremely low, in my field site, one can still feel some passion for the World Cup, especially among men. ZF, a forklift driver in his 30s, went to bed straight away after work at 5 pm, in order to get up in midnight to watch the games via his computer (given the time difference, most of the games are after midnight China time). Some of ZF’s co-workers in the factory (around 25%) did the same, and “the younger, the crazier” even though most of them “do not understand football” as one of them told me. However the majority of people who showed interest in the World Cup reported that they watched the game alone in their room, which means watching the world cup is not a public event or social event at all in this small town. Such situation limits the possibility of me, as a young woman, of joining the game-watching with my informants: at midnight, a young woman and a young man, both don’t understand football, watching football in a small room where the only furniture is a bed does not sound particularly inviting for me and probably too inviting for the other side. Having said so, I still managed to watch a recorded game (Columbia Vs. Greece) during the lunch break with four of my informants (three male one female) who are factory officials in the office. During the game-watching, I secretly counted how many times people made remarks on the match per se, and how many time people made remarks on something else. Among roughly 230 remarks over 90 minutes, 1/3 of them are very short remarks about the match per se, such as “Oh he is fast!”, “Shoot!”, “Quick quick”, “that must be painful”, “Come on, that’s fake”. And the other 2/3 of the remarks was sort of ‘football-free’. It seems that during the game-watching more conversation were centered on exoticism, masculinity, and gossip, which for whatever reasons were allowed by the encounter of the carnival-like world cup. And for me those conversations where football was absent seemed to be even more interesting in terms of anthropological inquiries about sociality in people’s daily life. The World Cup watching experience reminds me of the local opera show. From time to time, a local traditional Chinese opera troupe had performance on a makeshift stage, hundreds of people gathered under the stage, however not everybody was interested in the performance; the noise of chatting under the stage was just as loud as the singing on the stage. When the performance was over, more than half of the audience remained at their seats, chatting with each other. I asked some of them whether they were fans of the opera or the troupe, few of them said yes. People told me that they came here because it’s very “re nao” (‘re’ in Chinese means hot, ‘nao’ means noisy, two characters together means ‘bustle’). “Re nao” is a very interesting thing, Chinese people will say “cou re nao” (join the bustle), which takes place in various situations. Basically being bustle and noisy is regarded as something fun. Here, many people come to the performance for the purpose of “cou re nao”, which is joining the bustle, watching the fun. The social interactions in many cases depend on those ‘everyday encounters with people’ – any activity in public which gathers people became a ‘social activity’ automatically. Similarly, people’s interest may be not necessarily in the event, either the world cup or the local opera show. Thus watching the world cup in my field site is more about watching the world and watching the fun.